A website has become a must-have for any business and fashion or beauty businesses are not an exception. The launch of a website may help boost your business reputation, drive the amount of sales, increase client base and build customer trust. It’s possible to achieve all these goals granted that your fashion website is created in a professional way and features excellent performance combined with nice visual appeal. So, if you really intend to launch a beauty website, but lack time or experience to do that, website builders are at your disposal any time of the day. These services are created with the needs of all user categories in mind and everyone may find here specific features to adhere to the majority of business requirements and preferences. It’s super easy to use website builders, even if you are not a non-techie. Most systems are so simple and convenient that you won’t face any problems working with them. The choice of website builders is really impressive and inexperienced users may be a bit puzzled when seeing the list for the first time. However, not all the services work great to build fashion websites. Let’s analyze the main niche leaders, which are especially in demand. These are Wix (see review) and uKit (see review). Each service is unique in its own way and you have to find out their characteristics prior to making the choice. Wix is a universal website builder, which comes with the set of features and tools required to build any website type, including a fashion and beauty website. The system is easy to use, convenient and understandable right from the start. You don’t have to waste your effort and time learning its intricacies. Just sign up and start building your website, following simple and intuitive web building tips. That’s super easy, indeed. 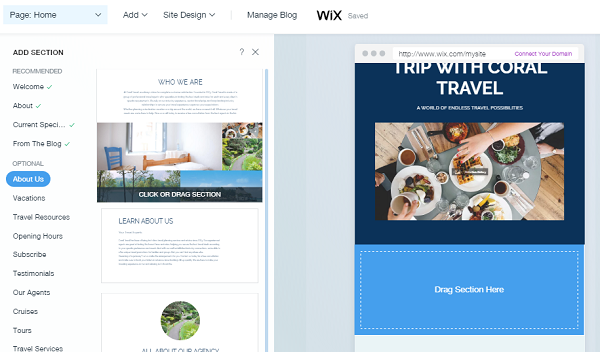 Wix has dozens of quality templates to cater to your needs. 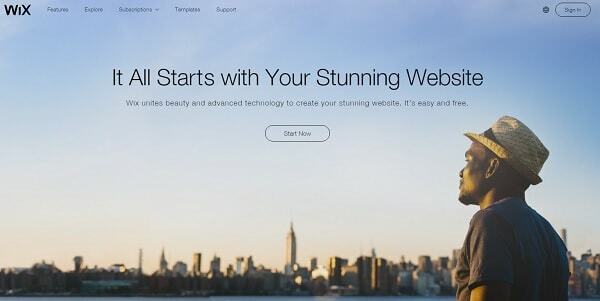 When it comes to beauty templates, the website builder has several themes to choose from. They are found in a separate Fashion and Beauty category and can be customized to your liking. 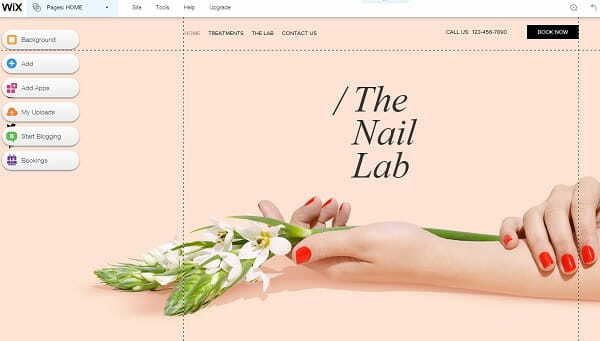 These templates work great to create a website of a beauty salon, fashion stylist, nail art studio, jewellery design studio, stylist or fashion blog, tattoo salon, hair salon, model agency and what not. What’s interesting, all the templates are of high quality and mobile-optimized right from the start. This means that you won’t have to bother about making them accessible on mobile devices. The system will do that for you. Wix has several features that distinguish it from the rest of the platforms. One of them is Wix App Store. This is the section, where you can come across numerous applications and widgets, which can further be integrated into your fashion website. These apps are free and paid, which is often implied by the terms of your plan. Some of the apps that may become a nice addition to your fashion website include Wix Events, Online Calendar, Slider, Professional Online Planner, ShoutOut mailouts, Wix Photo Albums, Countdown Timer, LiveChat. Another feature that makes the system stand out from the crowd is Wix ADI tool. 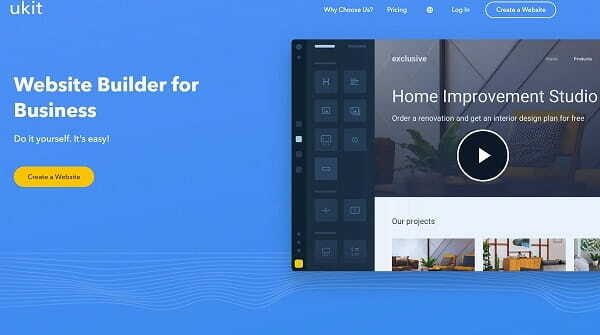 It makes is possible for people with various web design skills and expertise level (or even without them) to create professional websites in a hassle-free and quick way. This is done by submitting your business-related information that will further be used by the system, which will automatically design a fashion website for you. Wix can also boast powerful blogging opportunity and forum connection option. If you wish, you can connect a blog or a forum (or both of them) to your website to give it extra functionality and offer more opportunities to users. These features let you stay closer to your target audience, post and manage niche-related articles, initiate discussions and just stay in touch with users any time of the day to be ready to answer all their questions and solve the problems on time. This obviously helps grow your customers’ trust and business credibility. Wix Website Builder Review – Read the complete Wix review for more information. Wix Portfolio Examples – see the real portfolio websites made with Wix. uKit is known as the easiest small business website builder due to the rich amount of features and tools it offers to create a business website. Launching, for example, a hair salon website with uKit doesn’t take much effort and time as well. The system comes with intuitive dashboard, abundance of niche-specific features and tools, affordable plans and simple navigation. So, if you are looking for a simple and convenient website builder to launch a fashion website, don’t pass by uKit. When it comes to design and templates, uKit doesn’t lag behind Wix as well. 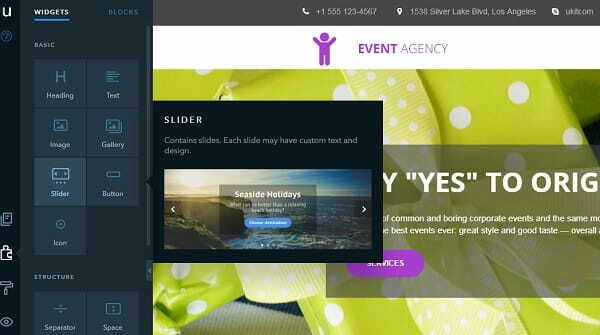 The website builder has a rich template gallery with dozens of quality themes to be customized to your liking. Even though, there isn’t a separate section with fashion templates, you can still find suitable themes in the “Clothes and Shoes” and “Models” categories. It’s up to you to customize the chosen template as you need to meet your business specialization. What’s important, all uKit templates as responsive, which allows accessing them from any mobile device, wherever you are. Once you have chosen a template, you can change it any time you wish without losing the content you have submitted. This feature is a notable benefit for non-techies, who may lack web design experience needed to select the most suitable theme right from the start. One of the most remarkable uKit features is that the system is very easy to use and convenient. And it is no wonder, because the platform was specially designed with the needs and skills of newbies in mind. The web building process is intuitive, easy and doesn’t take it longer than a couple of hours. The dashboard is so understandable that everyone can master it with no problems at all. The WYSIWYG editor contributes to the ease of use and makes the web building process simple for everyone. An opportunity to post quality photos matters a lot for all fashion website owners. This is where uKit is of great help. The system is an ideal choice for gallery posting. Widescreen templates look awesome, with excellent design, large miniatures, quick and convenient preview option, frames and other features that contribute to impressive effect. If you wish to add your fashion website extra allure and style, then you can’t but use the widget integration feature uKit offers to its users. The choice of widgets the system provides is stunning, while their integration doesn’t take much time. The use of uKit widgets is an excellent way to give your fashion website extra functionality. Among the widgets you can use for your fashion website, it makes sense to mention Comments, LiveChat, Social Buttons, Slideshare, Timer etc. uKit Website Builder Review – Read the complete uKit review for more information. Easy and Convenient Navigation. It’s crucial to realize that most fashion website owners are people, who don’t have any relation to the web design niche, but still wish to get the most out of their web building experience. Users, in their turn, don’t have to learn all the basics of the web building process, but expect a decent result. Thus, a fashion website should be easy to use and convenient for everyone. It’s essential not only to present your business in the most favorable light, but to make it easy for your visitors to access all the pages in a hassle-free and quick way. “About Us” Page. The “About Us” page is one of the first website pages users access when visiting it for the first time. This is the page, which presents important information about your business, its goals, characteristics and distinctive features. Don’t bother to make the “About Us” section too long. Instead, make it informative and close to the point. Services List. The best way to provide your clients with detailed info about your business and encourage them to visit your fashion or beauty salon is to provide the detailed services list with informative description of each service offered. If possible, create a separate page for this purpose. It also makes sense to add a price list so that your customers should be aware of your pricing policy to make their choice. If there is the need to add a photo gallery of your fashion salon, just do it! 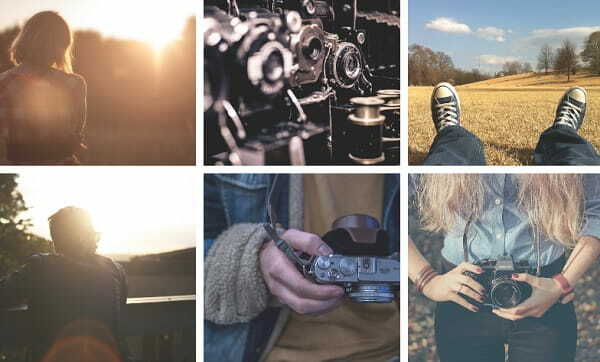 Quality photos always contribute to website appeal and performance and are valued by most users. Comments. A “Comments” section is another indispensable part of any fashion website. Your potential users will certainly appreciate an opportunity to look through the comments of those people, who have already visited your salon and used your services. Make sure the comments are real and informative. Check them to make sure they provide actual, truthful and up-to-date information about your business. The fact that the “comments” section is available at your fashion website boosts customer trust and business credibility rate. Contact Page. Just like a fashion website is unthinkable without the “About Us” page, it should also contain a detailed and informative “Contact Us” section. This info should always be at hand, when your clients have the desire to find your contacts to get in touch with you. Make sure to include all business contacts and communication channels. The more of them you mention at your Contact Us page, the more clients may get in touch with you to use your services. A quality, well-structured and professional website is a must for any fashion website. This is a surefire way to present your salon in the most favorable light, grow your client base, ensure good reputation and, eventually, reach your business objectives and make profit. Even though, it may seem that the process of website development is complicated for inexperienced users, there is a pretty good way to simplify it. This can be effectively done by using website builders today. These services are convenient and simple for everyone, irrespective of the web design skills and expertise rate. As of today, we can single out two trusted platforms that are worth the attention of fashion salon owners willing to launch quality websites with excellent performance. These are Wix and uKit. Wix can rightfully be considered one of the top services in the contemporary web design niche, while uKit is definitely the simplest one. Both systems are easy to use and ensure excellent and hassle-free web building process. When working with any of these website builders, you won’t face serious problems, even if you are not a web design pro. They provide you with a wide range of features and tools needed to launch a decent website in no time.